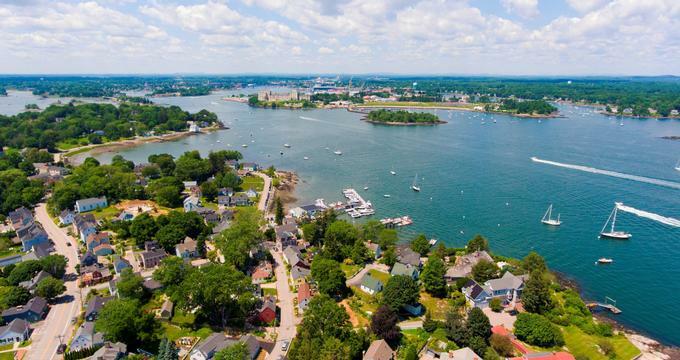 Portsmouth is a beautiful coastal destination with a charming harbor, green urban parks, diverse museums, historic mansions, and unique attractions. Go for a stroll in Prescott Park, explore the outdoor Strawbery Banke Museum and tour historic mansions like the Moffatt-Ladd House and the Governor John Langdon House. Best things to do in Portsmouth, NH with kids include Discover Portsmouth, USS Albacore and the Isles of Shoals. Prescott Park is a ten-acre urban green space posed on the edge of the Piscataqua River just blocks from downtown Portsmouth. The Park is composed of manicured gardens, wide lawns, three boardwalk piers, and two public boat docks with 26 public slips. Paved walkways weave their way throughout the space, and picnic tables, grills, and shelters are dotted throughout the grounds. 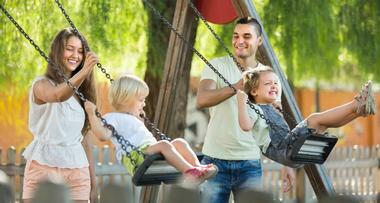 The park is open year round, and in warmer months, Prescott Park is home to the Prescott Park Arts Festival. During the warm months of summer and spring, this expansive space is host to various music performances, theatre shows, big screen movies, and other special events. If you are looking for things to do in Portsmouth NH with the whole family, this is a great place to visit. The Strawbery Banke Museum is an outdoor history museum associated with Portsmouth’s oldest remaining European settled neighborhood, the South End. The museum is comprised of 40 historical buildings dating back to the 17th, 18th, and 19th centuries, the oldest of which originated around 1630. Currently, ten of these buildings are open to the public. They have been restored, preserved, and outfitted with authentic period pieces. Staff members dress in period clothing and provide visitors with the unique history of each home, illustrating the family who would have lived there at that time and the lifestyle they would have led. Throughout the museum, exhibits demonstrate the specific details typical of the buildings, grounds, and early inhabitants of the time. The Strawbery Banke Museum is one of the top attractions in Portsmouth, New Hampshire. The Moffatt-Ladd House is a historic mansion-turned-museum located in downtown Portsmouth across from the Old Harbor. The home, originally built in 1763, is now a National Historic Landmark, and it was opened to the public in 2011. The home showcases period era décor and architecture and elegant gardens, along with original artifacts such as papers, letters, and photographs belonging to several of the home’s original inhabitants. The Moffatt-Ladd House is one of the best things to do in Portsmouth NH. Interestingly, some of these inhabitants include Revolutionary War figures, signers of the Declaration of Independence, and esteemed members of early East Coast society. The Music Hall is a nearly 1,000-seat venue in Portsmouth considered to be the oldest theater in New Hampshire and the 14th oldest theater in America. For nearly five generations, the Music Hall has been graced with performances by many notable characters, including multiple Tony, Grammy, and Pulitzer Prize winners. The Music Hall is known for hosting and featuring a variety of performance mediums, including musical performances, dramatic, interpretive, or author readers, dance recitals, and cinema exhibits. Currently, the venue welcomes nearly 90 thousand visitors a year. The Hall offers a calendar on its website that outlines upcoming performances as well as ticket purchasing options. If you are looking for romantic date night ideas, watch a performance at the Music Hall. More places to visit: 22 Most Fascinating Gardens on the East Coast. The Portsmouth Athenaeum is a locally run and independently managed, non-profit library, gallery, and museum located in the downtown core of the city. The Portsmouth Athenaeum dates back to the early 1800s when the citizens of Portsmouth mutually joined their educational resources in order to elevate other members of the community. This system of resource distribution, once the norm, now represents a tiny portion of national libraries, and as such, it is a unique representation of the earliest system of libraries. Today, guests can tour the library, museum, and gallery to view authentic Portsmouth artifacts and utilize the facility’s various resources. Romantic vacation ideas: Best Weekend Getaways in New Hampshire. 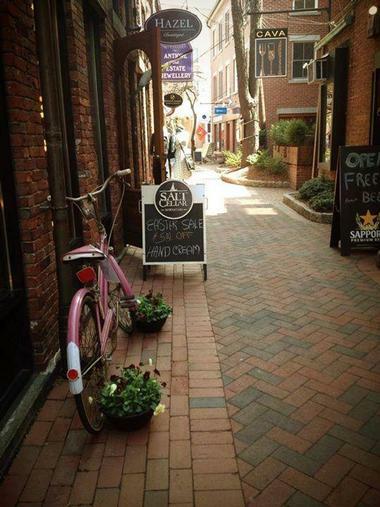 Discover Portsmouth, located downtown, is owned and operated by the Portsmouth Historical Society. It is designed to provide visitors with information on local sites, attractions, and historical facts and features. Open to the public throughout the day, Discover Portsmouth acts as a community center and resource hub, housing information, volunteers, literature, videos, and artifacts. The on-site staff members are educated in the city’s characteristics, and they are on hand to provide information, directions, and contact information and to help schedule tours or events. The information provided on site is related to the city’s numerous performance venues, walking tours, musical events, historic homes, interesting buildings, art galleries, festivals, and more. More New England destinations: 20 Best Things to Do in Portland, Maine. USS Albacore is a submarine whose unique shape pioneered the field of watercraft. Initially used for research, this vessel has a very specifically designed hull that allows her to move quickly and with incredible agility. The submarine was designed to operate during World War II, and the design of the shape of the ship made a profound impact on other designs during maritime war operations. Today, the sub is open to the public, and visitors are able to tour the boat and learn more about its unique features and contribution to the American navy. Visitors can see where the crew would have worked and lived and learn about the process of operating the ship. The Seacoast Repertory Theatre is a year-round, community-based professional performance company based in Portsmouth. The Seacoast Repertory Theatre puts on multiple performances throughout the year. The company provides an annual scheduled calendar of upcoming events, and they also offer classes, private lessons, workshops, and camps to all age groups. For a full calendar of Seacoast Repertory Theatre’s upcoming performances, events, camps, and classes, visitors can access the yearly schedule on the theater’s website. Located in a late 1860’s building, Book and Bar provides guests with a unique entertainment and dining combination. This unique eatery and pub has the feel of a bookstore because of its many shelves of books. Beer, wine, coffee, and tea products are served throughout the day alongside a bistro menu of sandwiches, soups, salads, and small plates. The ambiance is not at all typical of a quiet library; Book and Bar is an upbeat and vibrant eatery where visitors are welcome to hang out and chat at their leisure. Tall bookshelves rest alongside cozy armchairs, solid wood tables, and cozy sofas, creating a welcoming environment in this stylish establishment. Redhook Brewery is a West Coast-based brewery that expanded to the East Coast in order to provide locals with fresh and locally brewed beer. The Cataqua Public House is the outlet through which Redhook distributes its brews. According to Redhook, the Public House is named for the river dividing Maine and New Hampshire, the third fastest flowing river in the world. The meaning of the name derives from a Native American term, loosely meaning “a place where people come together then go on their separate ways.” The Public House utilizes this phrase as their motto, and the casual, welcoming, and laid-back venue offers a pub-style menu and both indoor and outdoor seating. Located in downtown Portsmouth, Black Trumpet Bistro is open to guests for dinner. 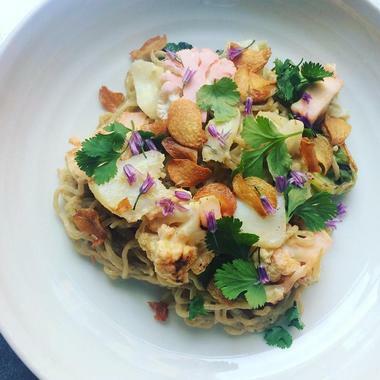 The small bistro is known for serving globally infused, internationally flavored dishes using a combination of both classic and unexpected flavors and ingredients. 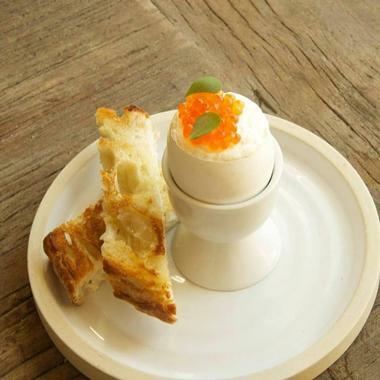 The menu is based on seasonality and availability, and therefore it changes regularly. Black Trumpet Bistro has two floors for guests; the main floor is a romantic and warm dining space with a welcoming and relaxed service, while the second floor features a lively wine bar with a more energetic environment. Both levels offer diners an unassuming and causal atmosphere in which they can enjoy fine dining. This historic mansion-turned-museum was once the home of shipbuilder, merchant, Revolutionary War hero, three-term governor of the state of New Hampshire, and signer of the constitution John Langdon. The home is a magnificent Georgian style mansion, once referred to as the first home of its stature by President George Washington. After several generations of Langdon family residency, the home transitioned to a museum. Today, the property is carefully preserved, and it has been outfitted with period era décor that illustrates the lifestyle of one of Portsmouth’s early notable citizens. Additionally, an on-site museum hosts original pieces of the home, property of the Langdon family, and historical artifacts. 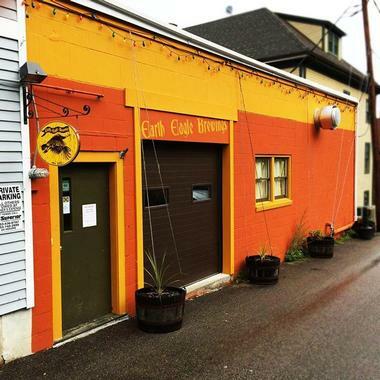 Earth Eagle Brewing is a local brewery and gastro pub known for its wide selection of microbrews. Earth Eagle’s selection of beer varies based on season and availability, and the on tap options are regularly updated on the Brewery’s website and social media. The gastro pub features an eclectic menu that includes a variety of comfort food and classic pub favorites as well as a selection of unexpected choices. The Brewery also hosts special events, live music, and various festivals throughout the year, and its warm interior is decked out with laidback décor and subtle lighting to create a relaxed ambience. Seacoast Helicopters’s Dream Flights program is a 90-minute chopper ride over a variety of scenic East Coast landscapes, including downtown Portsmouth, the Atlantic Ocean beach, four nearby lighthouses, or the isle of shoals. When the ride ends, passengers can say they have experience a real helicopter ride, and that they even had the chance to take over the controls. Additionally, Seacoast Helicopters provides flight school training, air taxi services, and a utility service for aerial photographers. 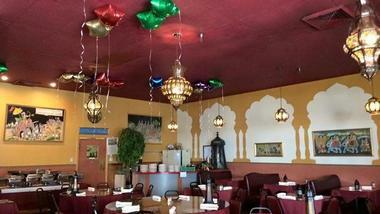 Located in downtown Portsmouth, Shalimar India serves authentic North Indian and Punjabi dishes for lunch and dinner. The menu offers both classic and contemporary takes on a variety of North Indian favorites along with an expansive drink menu of both wine and beer choices. The cozy restaurant is outfitted with bold and ornate furnishings, including a festively painted ceiling, vibrant gold chandeliers, and quirky artwork adorning the walls. The restaurant is polished and refined, but it still maintains a very casual ambiance with the help of its lively energy and unique décor. A fundamental component of Portsmouth, Old Ferry Landing is over 40 years old and has become a renowned institution in the city’s casual dining scene. Guests order inside the bright red shop and are welcome to sit at the tables and benches available in the back on the waterfront deck overlooking the bustling harbor area. Inspired by a trip to Europe and the variety of beautiful and functional salt products available throughout international markets, a local Portsmouth couple opened Salt Cellar, an educated and resource-backed shop designed for the distribution of high quality salt products. Salt Cellar provides over 50 variations of salt for usage in food preparation, bath and body products, health related purposes, and as salted confections. The store, aesthetically designed to capture the elegance and beauty the two noted while visiting salt shops in Europe, has educated staff members who are able to provide helpful advice and guidance on the variety of salt products available. Six miles off the coast on the border between Maine and New Hampshire are six small islands that compose the Isles of Shoals. Each island has its own unique character and story; one hosts a renowned religious conference center while another is the alleged site of notorious pirate Blackbeard’s honeymoon. Today, the rustic and remote islands are most commonly enjoyed from aboard a cruise ship that takes passengers alongside the islands for a short and scenic tour of the region. A variety of tours take visitors along several difference courses, providing a unique perspective of these desolate islands. Visitors can also admire a beautiful and expansive view of the ocean, harbors, and surrounding coastline.